The Eiffel Tower is the most visited paid monument in the world with a resplendent light show at night that is so dazzling it can stop traffic. A few miles away in the cozy village of Le Chesnay, not far from the Palace of Versailles, is another monument. 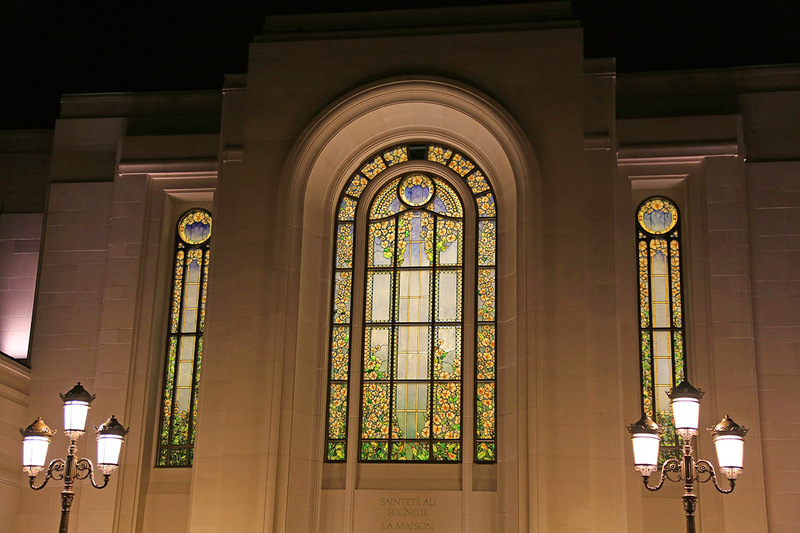 This is a quiet building with light that streams through flowered art glass windows at night. 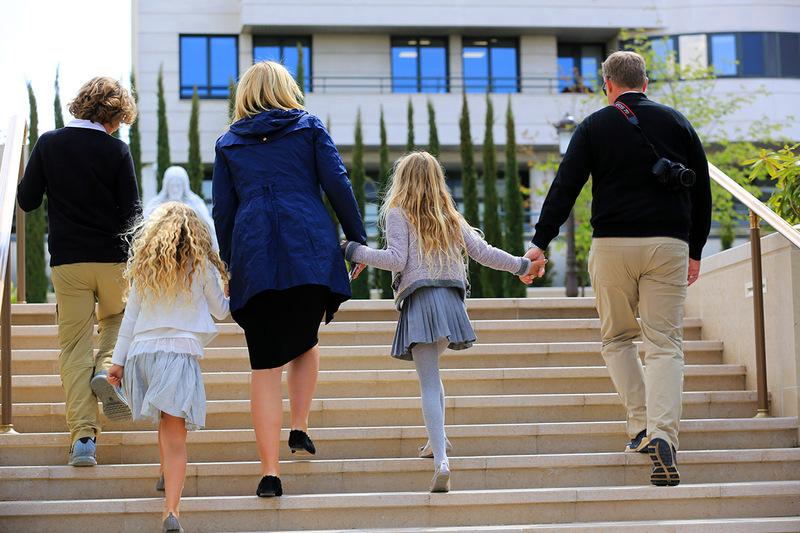 In the past weeks during its open house thousands of visitors have come to see it, but only a handful will know that it is much more significant to Paris than even the majestic Eiffel Tower. Why? 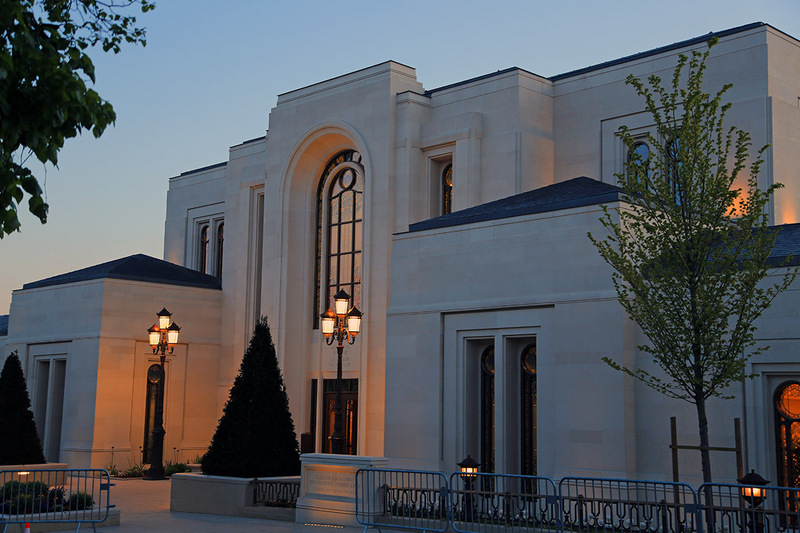 Because it is the new Paris France Temple that will be dedicated this coming Sunday, May 21. 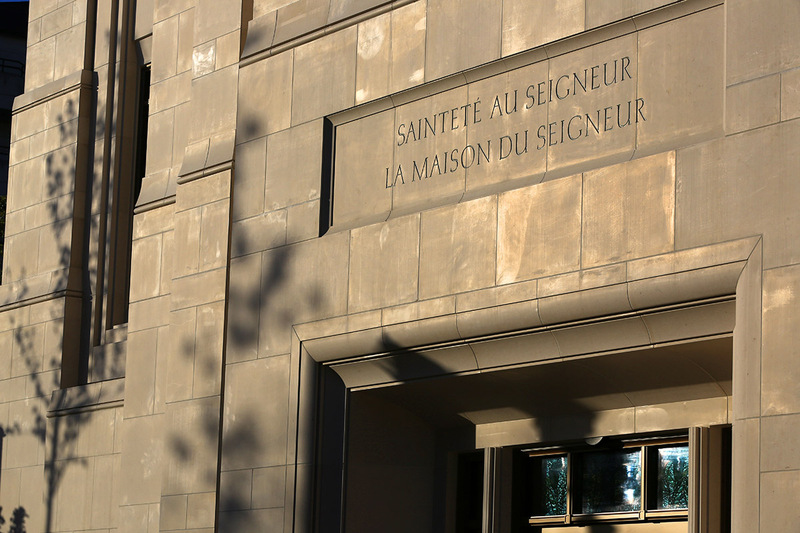 Most people have walked by the sign that says “Saintete au Seigneur, La Maison Du Seigneur” –“Holiness to the Lord, The House of the Lord” without knowing how literal this is. 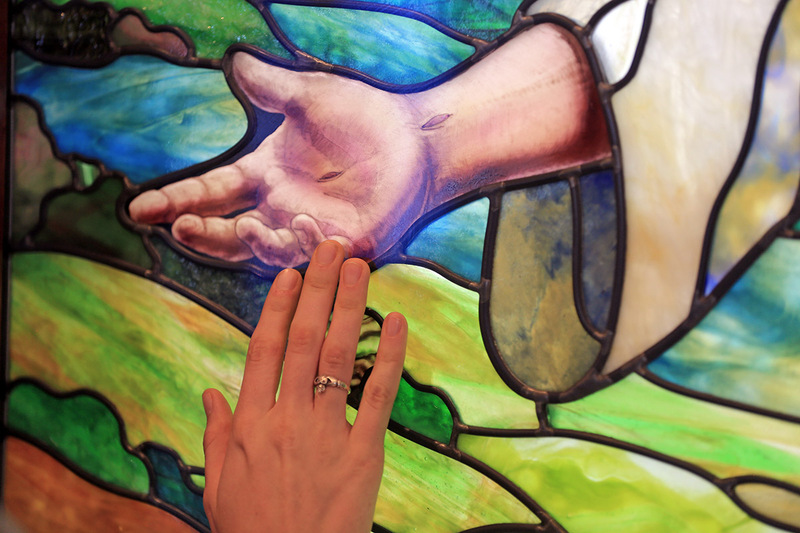 This is truly a house for God, come quietly, but significantly, to the city of lights. 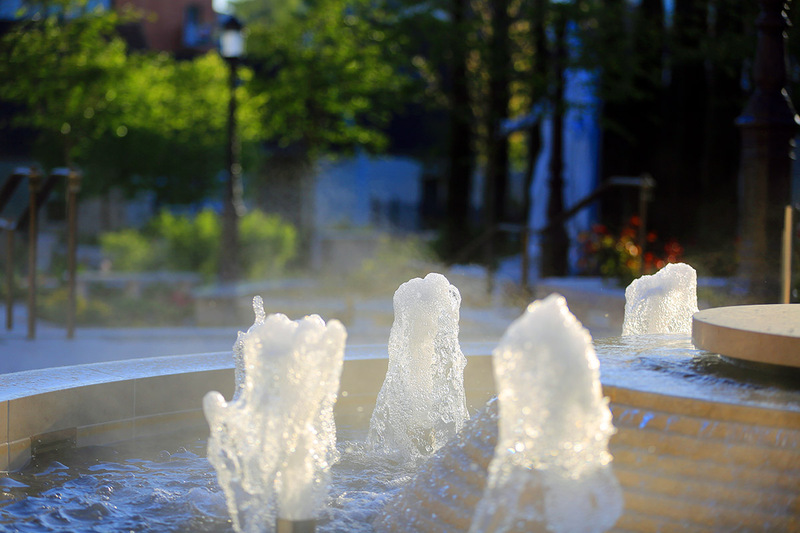 Walk with us through this photo essay. 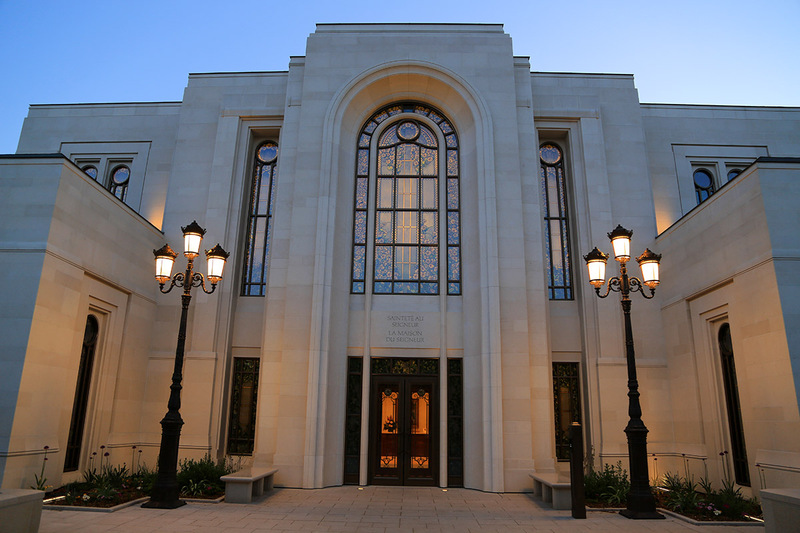 On Sunday, May 21, 2017, when the Paris France Temple is dedicated it will become the 156th operating temple of the Church. 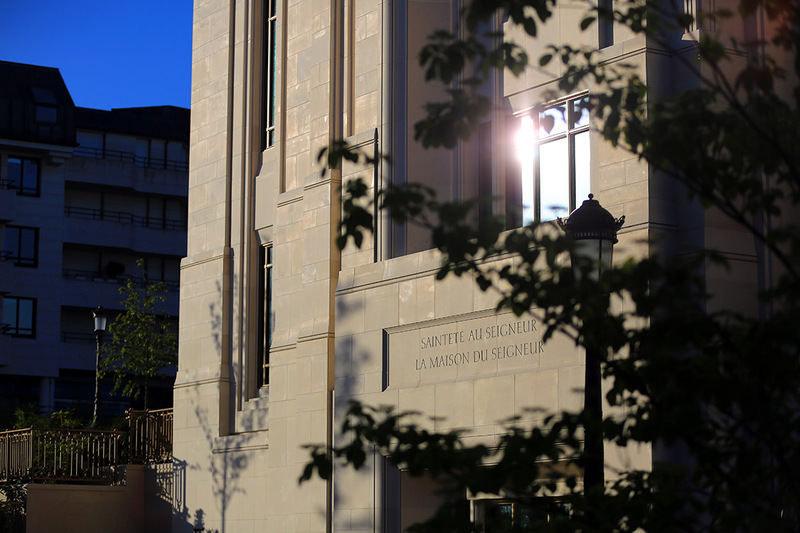 Inspiration for this temple came, in part, from the surrounding area, encompassing elements from the Versailles and Le Chesnay neighborhoods where the temple is located. 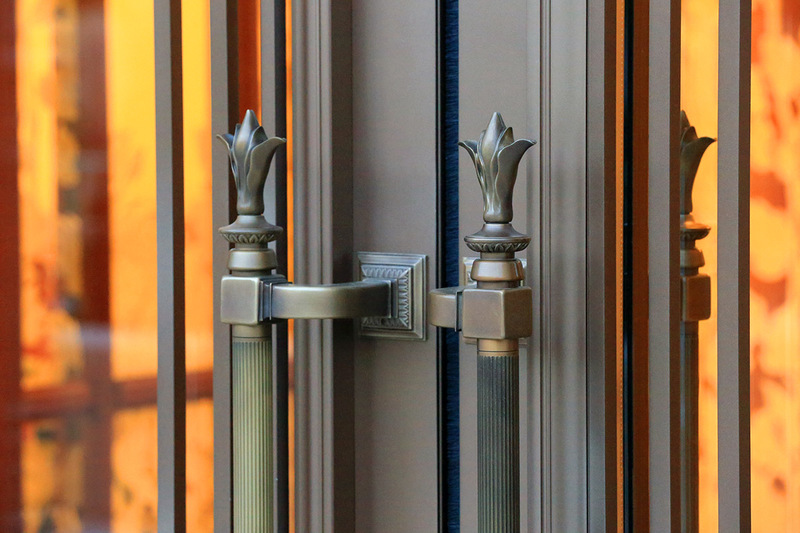 The classic French door hardware and brass railings were manufactured by a local French company with origins in the Versailles area and installed by French craftsmen, using an Art Nouveau-inspired design. 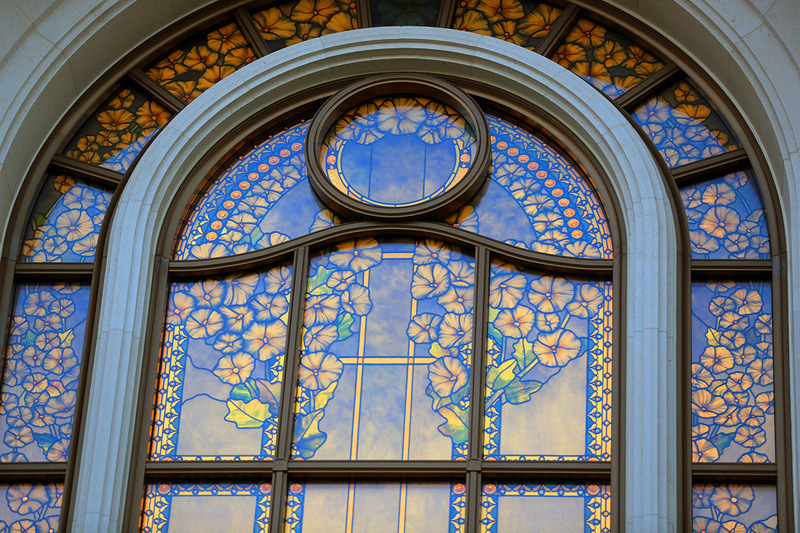 One cannot help but be drawn to the stunning art glass that can be seen both inside and outside the temple. 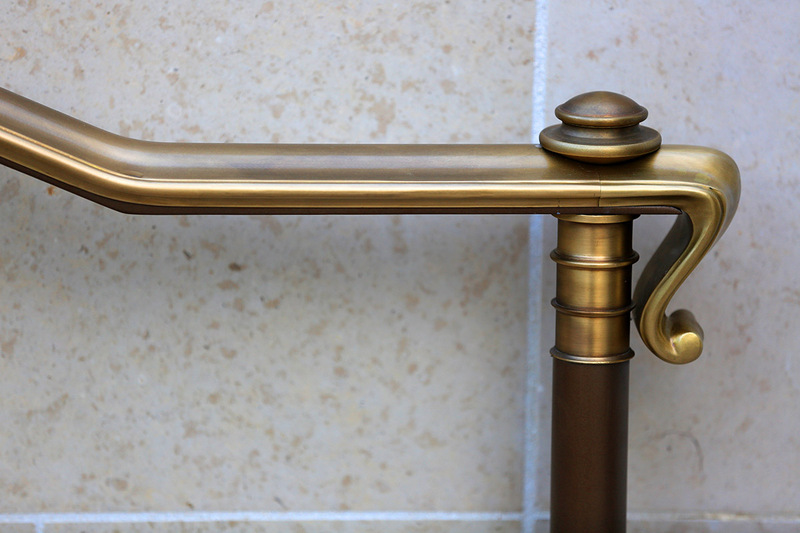 These were crafted by Tom Holdman and his team in Lehi, Utah. 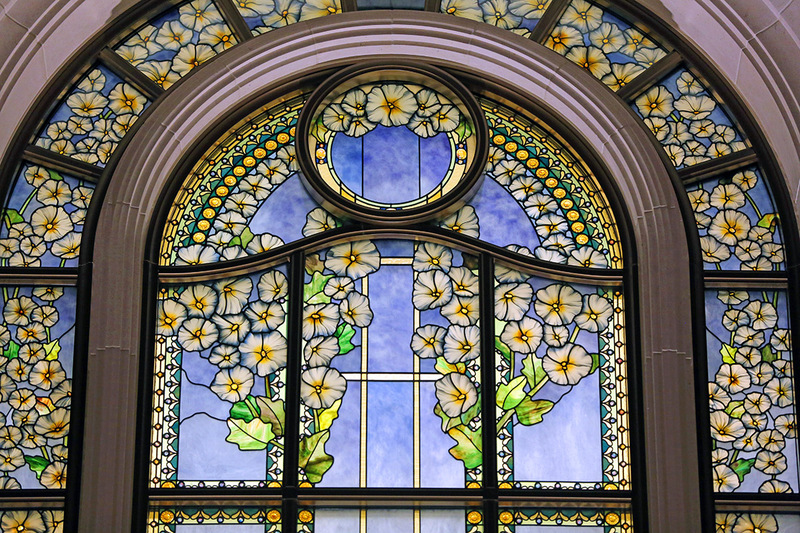 Each piece of art glass was carefully researched, designed, created and installed to literally reflect and incorporate flowers and symbols throughout Paris. 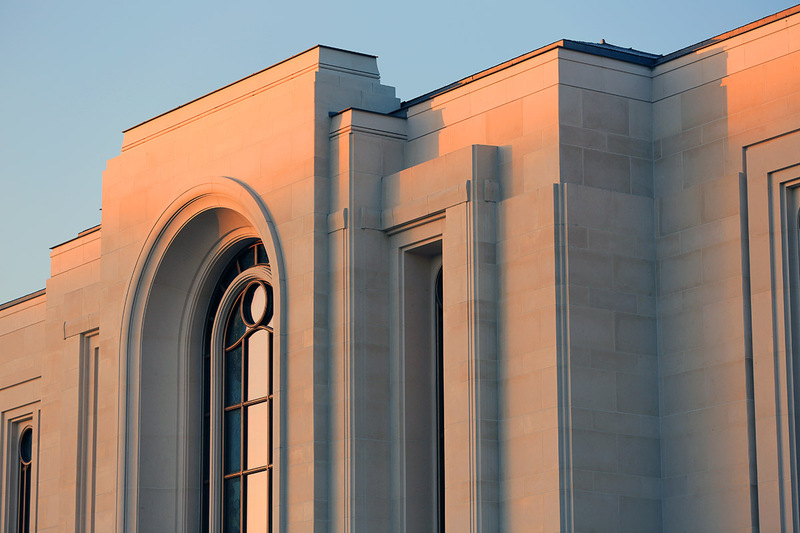 The Paris Temple is constructed of reinforced concrete, sheathed in warm-hued Portuguese limestone, installed by French craftsmen. 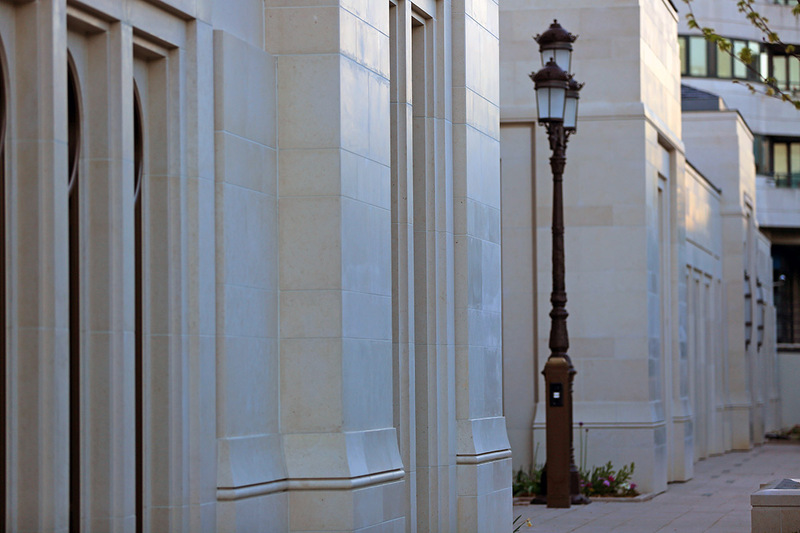 The articulation of the stonework includes subtly-detailed moldings, attractive bond courses and various textures to enhance the overall beauty of the exterior walls. 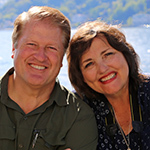 The temple team had tremendous challenges of height restrictions and a small 3-acre plot of land to work with in a well-established neighborhood. There is an understated elegance in this temple. 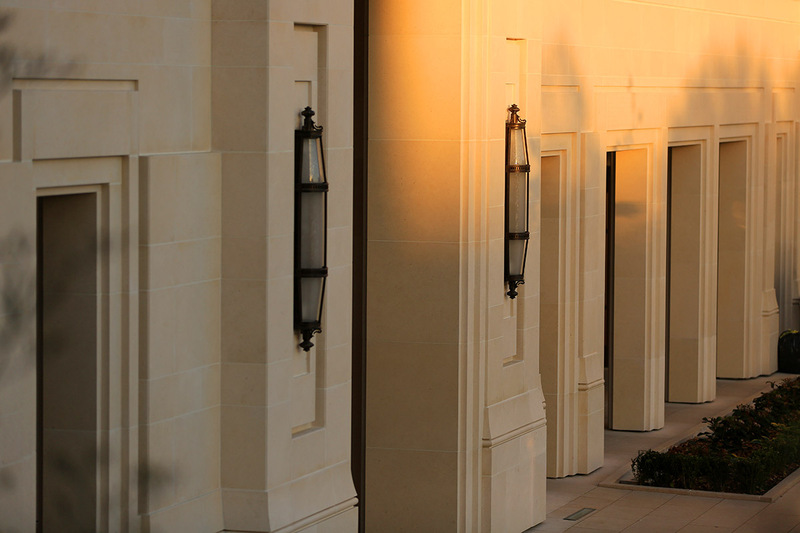 The first light of morning gently bathes the beautiful limestone to create a warm invitation to come to the House of the Lord. 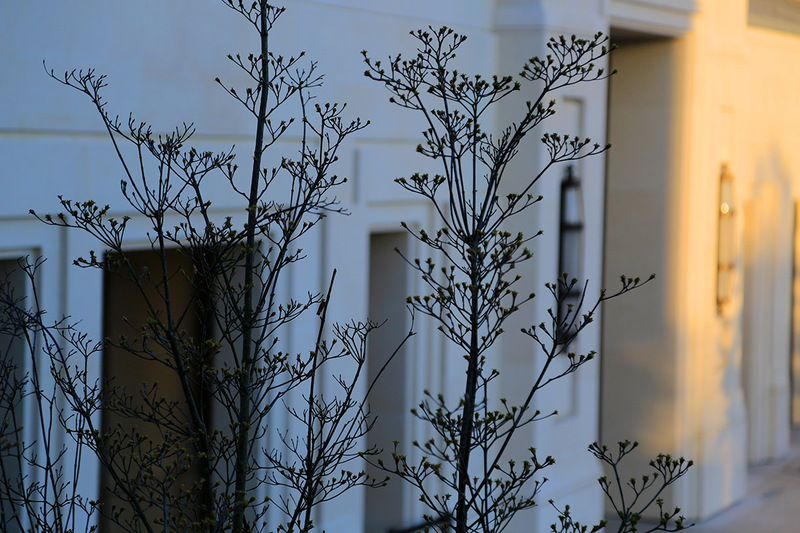 Local flora has been used throughout the multi-leveled gardens behind the temple. 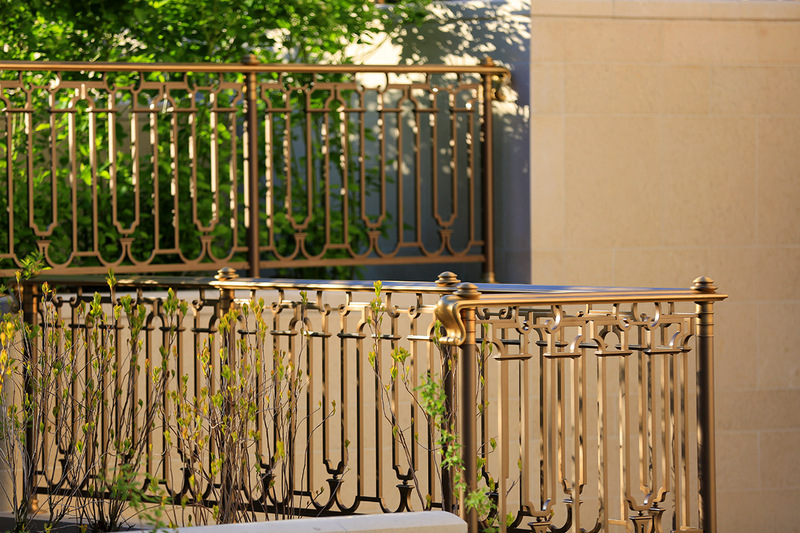 The temple compound is composed of the temple itself, patron housing, and temple president’s and patron residences as well as sufficient underground parking facilities. 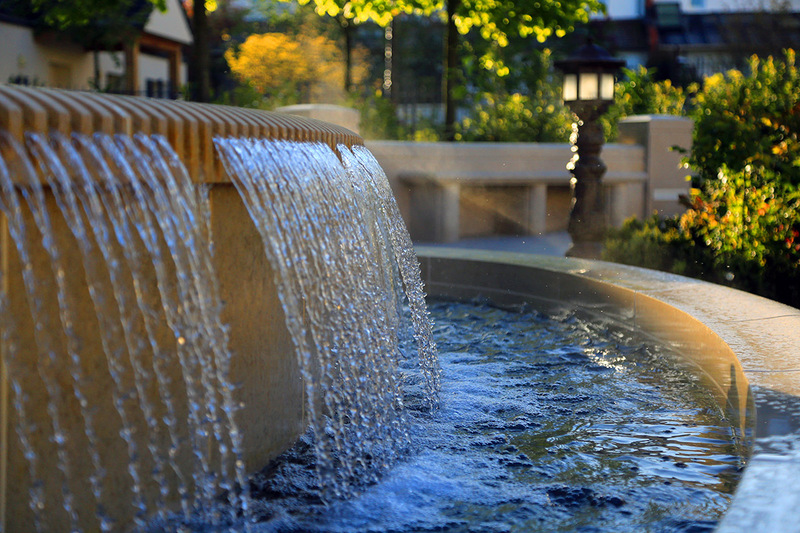 Fountains often accompany temple landscaping, reminding visitors of the living water that Christ offers. 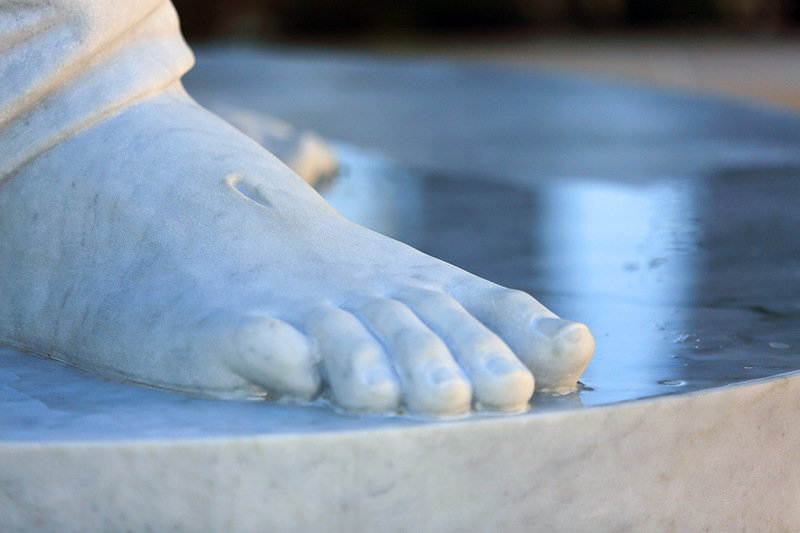 Beautifully placed in the interior gardens of the temple is a heroic-size replica marble statue of Bertel Thorvaldsen’s Christus. 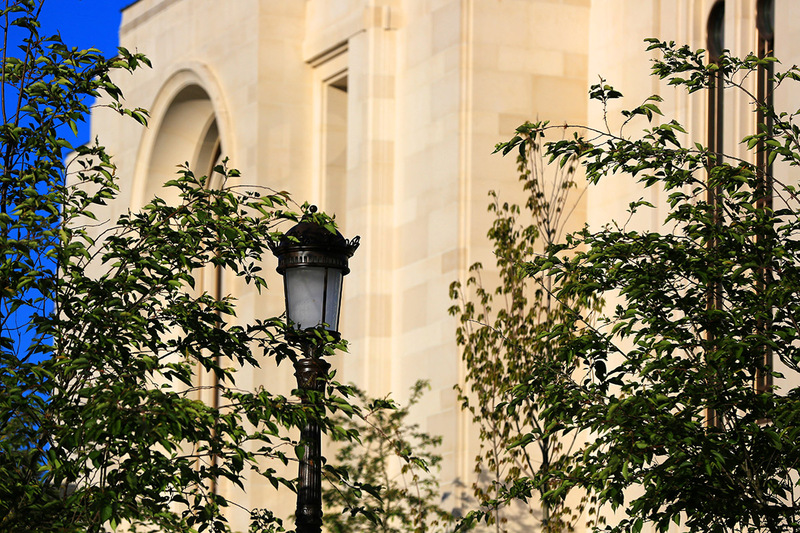 The Paris Temple has no statue of Moroni because of height restrictions. 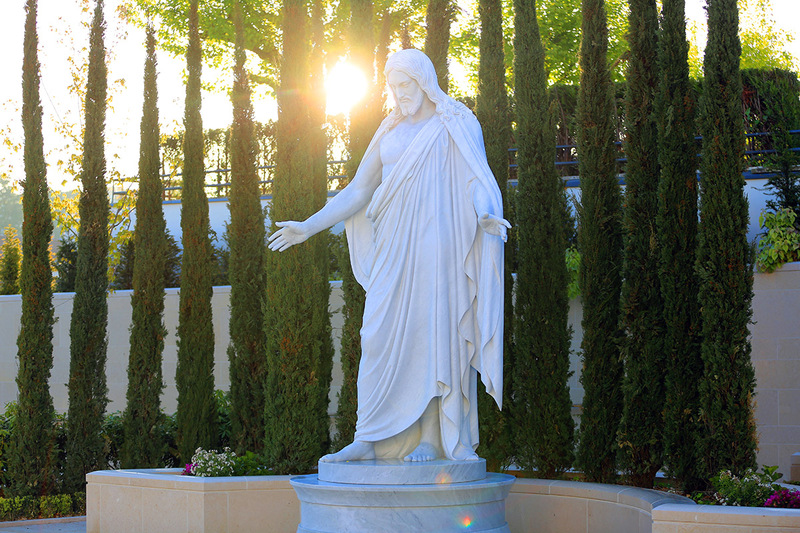 Instead, the Church has placed the Christus here to send a clear message (in a country filled with historic monuments and statues) that Mormons are Christians and centered in Jesus Christ. 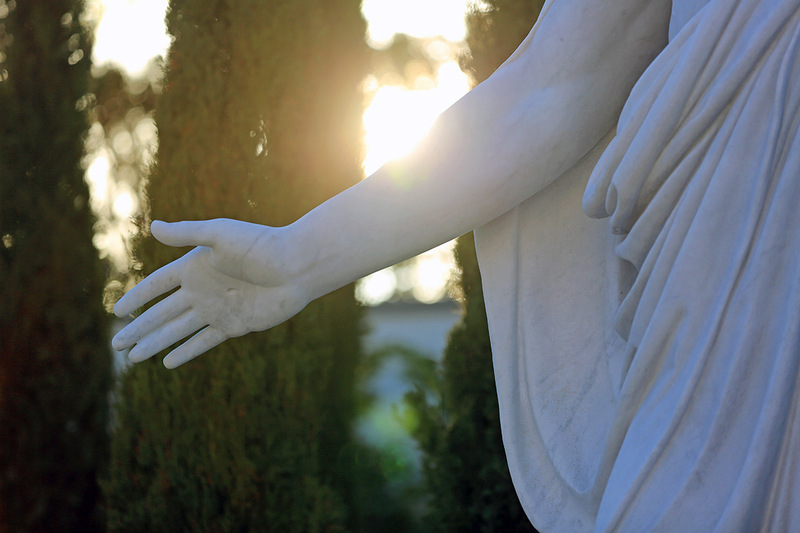 Handcrafted in Italy, the Christus statue provides a quiet setting for contemplation of the Savior’s life and His atoning sacrifice. 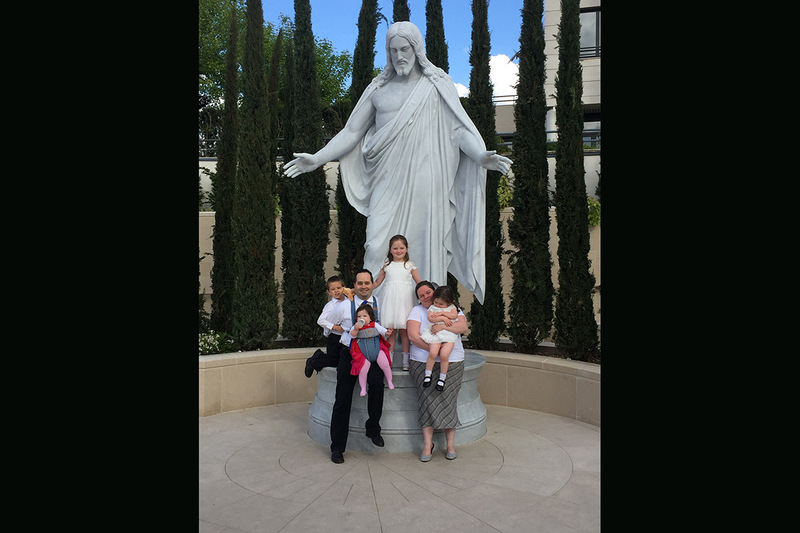 During our visit to the temple grounds we noticed that nearly every family who came here wanted to have their picture taken beneath the protective arms of the Christus statue. A separate entrance for the youth allows them to go right into the baptistry. 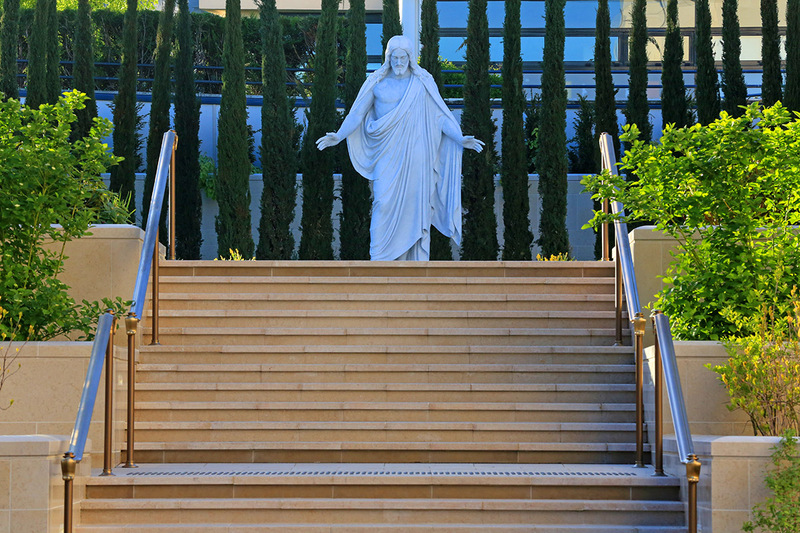 This temple has a visitors center which is attached to the temple itself, only separated by a small walkway. 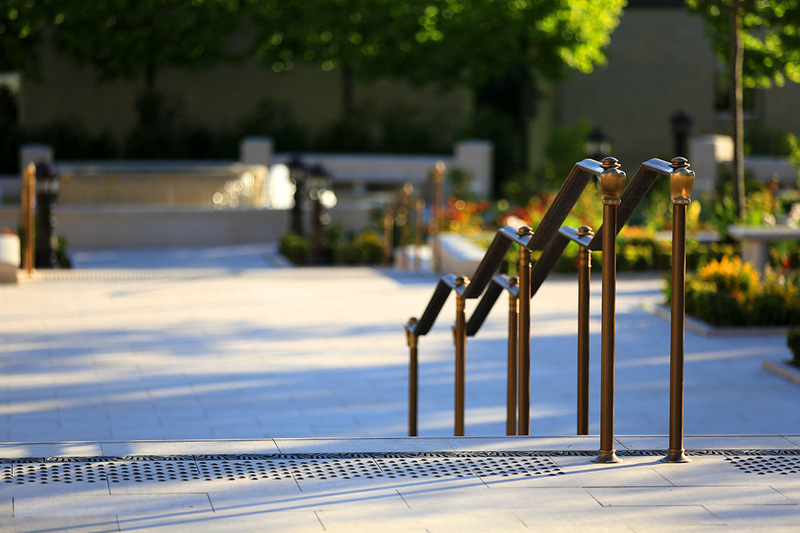 The outside lamps and lighting are all reminiscent of the neighborhood where the temple resides. The Claude Monet-inspired art-glass pieces feature water lilies, martagon lilies and Madonna lilies as well as cornflowers, lilacs and hollyhocks. 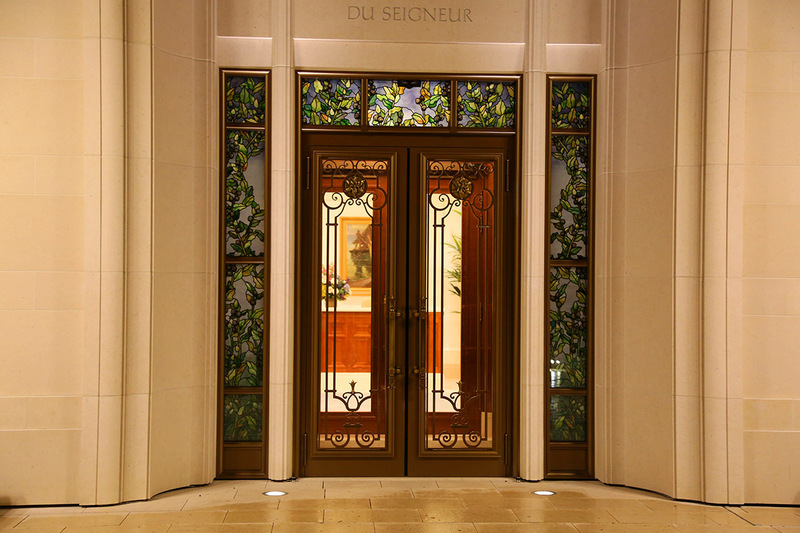 The beautiful doors throughout the temple are made of stained and painted American Cherry, are fabricated in France and installed by local craftsmen. 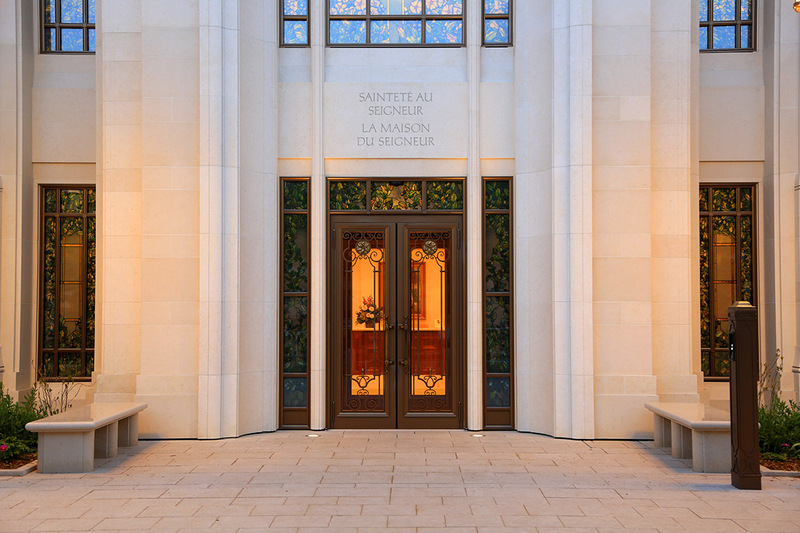 The art glass of the front entry and all around the temple truly shine as night falls on Le Chesnay, France. 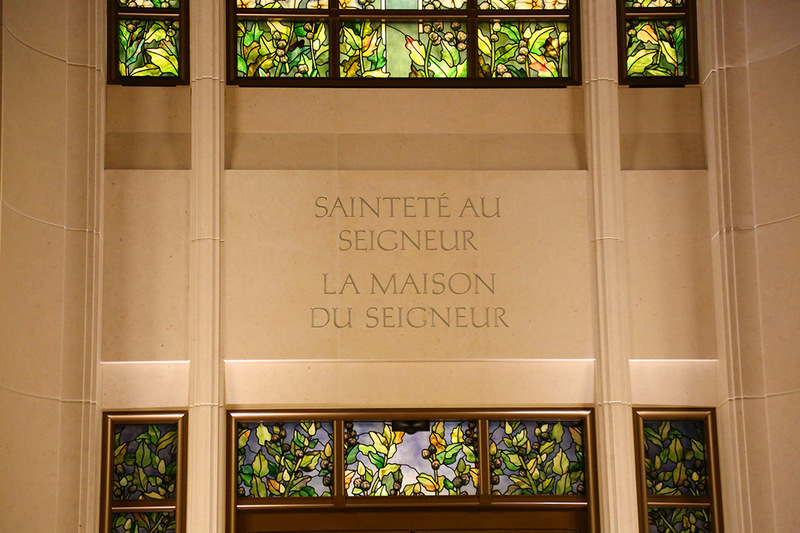 This week a change is coming to France: The House of the Lord will be dedicated and become a part of her history from now on. 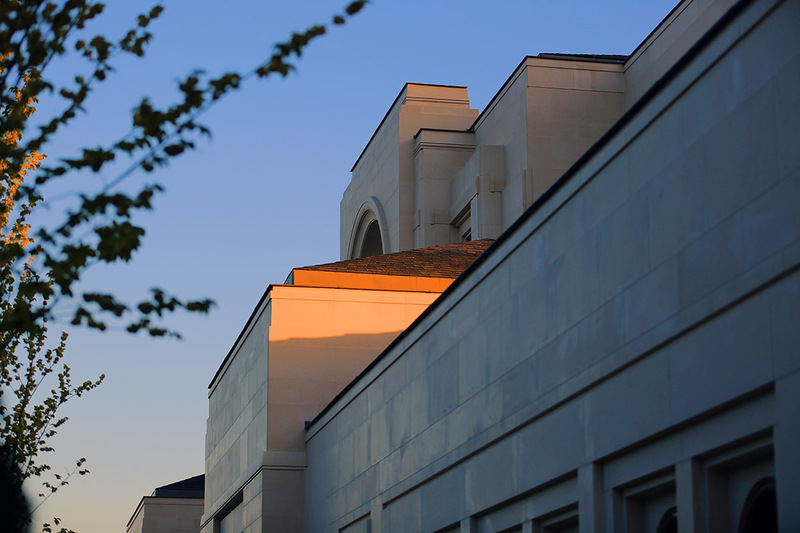 Naturally, the temple is beautiful! It's so neat to see the words in French. Beautiful photos, as usual. Wish I could travel to Paris to go inside!! The temple hasn't been dedicated yet. Why no photos of the inside?